HELSINKI (Reuters) - Finland's leftist Social Democrats won first place in advance voting ahead of Sunday's parliamentary election, with 18.9 percent of the votes, after 35.5 percent of ballots had been counted, justice ministry data showed. The centre-right National Coalition of outgoing Finance Minister Petteri Orpo came in second, with 17.2 percent of the advance ballots. The Centre Party of outgoing Prime Minister Juha Sipila scored third, with 15.4 percent. The nationalist True Finns party came in fourth, with 15.1 percent of the vote. 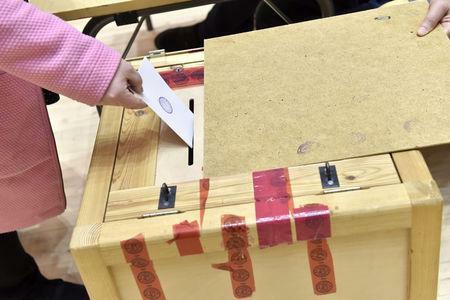 About 36 percent of voting-age Finns cast their votes in a seven-day advance voting period that ended on Tuesday. The results from these votes are often skewed due to differences in voter behavior in different regions.